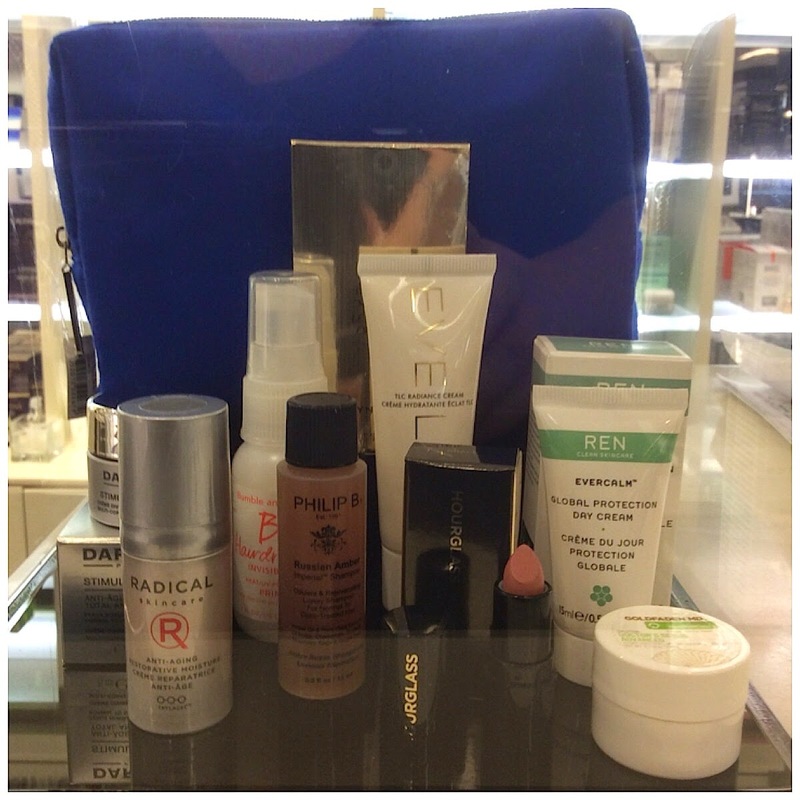 Beauty Benefits is currently going on at Bloomingdale's, and it is running through October 26! Space NK Boutiques have joined in the festivities, and are brimming with amazing Gifts with Purchase, facial events and makeovers. Therefore, you can partake in all of the reverie in a one-stop shopping trip! 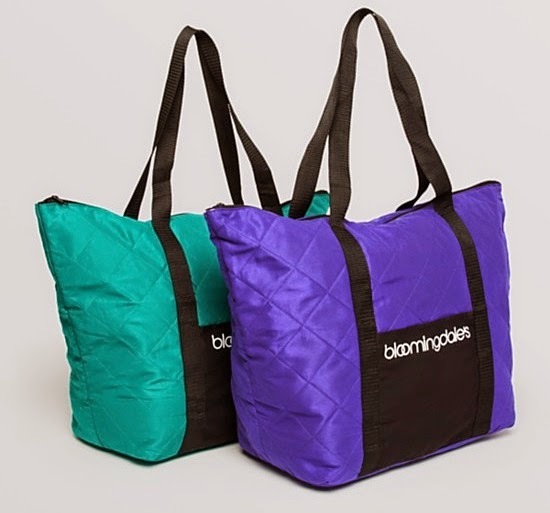 You will also receive the Bloomingdales signature Tote Bag Gift with any $125 cosmetics, skincare or fragrance purchase! Available in either Royal Purple or Deep Teal. 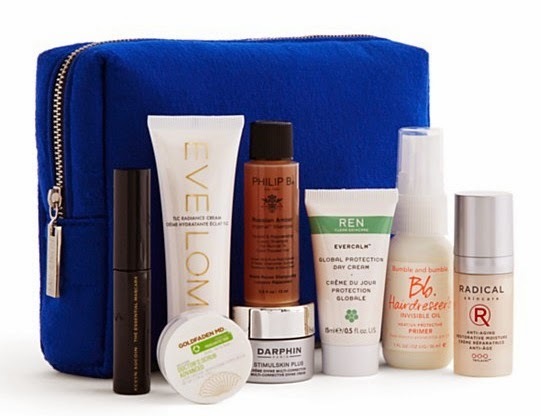 To celebrate Beauty Benefits, Space NK has some exciting upcoming events! An esthetician from Natura Bisse will be offering complimentary spa facials from 11:00AM - 6:00PM! Receive this complimentary spa facial (the same facial you would get at the Beverly Wilshire Hotel) with any $350 Natura Bisse purchase. There is also a gift with any $250 Natura Bisse purchase. This event is currently booked, but you can call to order your Natura Bisse on 10/18 to receive their special gift. Follow up your facial with a By Terry makeover. A regional makeup artist from By Terry will be available from 12:00 - 5:00 p.m. With the purchase of any By Terry Densiliss products you will receive a complimentary By Terry Huile de Rose Nutri-Regenerating Firming Lifting Oil, worth $106. On Wednesday, October 22 from 12:00 - 5:00 PM: Receive a Rodial Customized Microcurrent Facial. Receive a gift with any $250 Rodial purchase. On Sunday October 26 from 12:00 - 5:00 PM: Space NK in Sherman Oaks will be hosting the very coveted Colbert MD "Red Carpet Facial." Receive a gift with any $250 Colbert purchase. If you can't make it to any of the events, but want the Gifts With Purchase-- contact Space NK apothecary Sherman Oaks-- and they will mail them to you (US Only). Oh MAN! I wish I'd known about this one when I placed my order using the $20 off! You get some fantastic events in your area! The Space NK in Chestnut Hill is tiny, very tiny. I don't know if they do anything big like this event you had! I wish I had known too! I received this information a couple of days ago which is much later than usual from them. They do have some really amazing events at the Space NK in Sherman Oaks, and around LA in general. I'm surprised that your Space NK is so small given that it's the only one in Massachusetts! It is literally just a little alcove off the (very large) beauty department. But at least you have a Space NK, albeit a tiny one! Got my order. Space NK has good shipping! It seems like they do 'something' every October. Do you know if there will be anything this October? I have some kind of $10 bonus (at least I think I still do) that they emailed me about (maybe a month ago and mentioned by Amy when I placed my BE order) and now I have my indulge points from the BE order. Trying to decide when to use it. (And I wish I knew when or if that $10 bonus expires....) The glitch is that I'll be away for 10 days in October and mostly without internet........ Sorry! It does seem that I ask you a lot of questions, but I really do value your experience and expertise! You are welcome. Don't you have some decent sized shampoo samples suitable for your cruise? There should have been some good ones in the last few SNK and BNY bags. I seem to remember getting some from Rahua in some of them a while ago. A lot of times the samples are not good for color treated hair or are for curly hair. I have thin, fine, color-treated hair. Bummer that among those samples there isn't something that's a good fit! In fact, I just got another non-usable shampoo in my GlossyBox today. I am so done with GB; can't wait for my subscription to be finished. I'm sure that thrilled you!!!!! It would be so nice if more of the boxes provided their customers with some choices– that way there would be a better chance of getting things that you would use! What's more infuriating is completing a profile survey and then having it ignored. After complaining, they tell you "oh, we don't customize" What? Don't waste my time filling out the profile, then! That just makes no sense whatsoever! Maybe they will take notice your discontent when you don't resubscribe! Well clearly that hasn't made you any happier with some of their selections! I definitely know what you mean about SLS laden shampoos. There should definitely be a non-SLS version in boxes since so many people avoid SLS based shampoos!